The first day of Lollapalooza Music Festival kicked off in Chicago on Thursday with sunny skies and mild breezes cooling the warm summer air. With 47 bands slated to play on eight main stages over the course of 10 hours, the music festival featured rising and established acts, such as New Zealand singer-songwriter Lorde, Atlanta trap trio Migos, EDM artist Porter Robinson and English rock band Muse. The stacked festival attracted well over 100,000 attendees. Numerous difficulties, out of control of the organizers’ hands, plagued the day with frustrations that built up to a crescendo when the four headliners’ performances were cut short just after 9 p.m.
Due to a flight delay, Migos' set will begin at 5:20pm. But despite technical difficulties and a sudden evacuation of Grant Park just as the headliners were warming up, the first day of Lollapalooza 2017 saw buzzing performances, such as a purple dress and fishnet stockings-clad Matt Shultz of Cage the Elephant, local acts like “rock-n-soul” outfit The O’My’s and a killer lineup of local eateries at “Chow Town,” the festival’s go-to for quick bites. 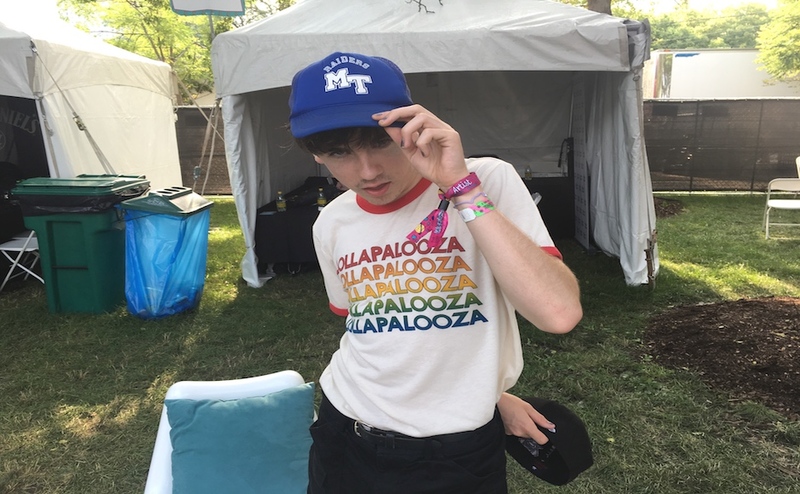 Perhaps the award for “youngest social activist at Lollapalooza” should go to Declan McKenna, the 18-year-old U.K. indie-pop performer best known for his socially aware single “Brazil,” which addresses corruption in the FIFA association. He and the four supporting band members (all presumably older than McKenna) brought an energy to the crowd that few would expect from such an early performance, which entailed dancing around the stage, crowd surfing and even climbing support beams on the stage during his performance of “Paracetamol,” a song which addresses transgender representation in the media. McKenna ended the set with a bold expression of politically-charged activism. After putting on a face mask of Donald Trump wearing a not-so-nice facial expression, McKenna began to talk about the importance of the free expression, citing an article that said a U.K. artist had allegedly been deported from the U.S. for mocking President Trump (the article has since been updated to reflect that the problem was due to the artist having the wrong VISA). McKenna’s performance showed promise in the rising artist category. 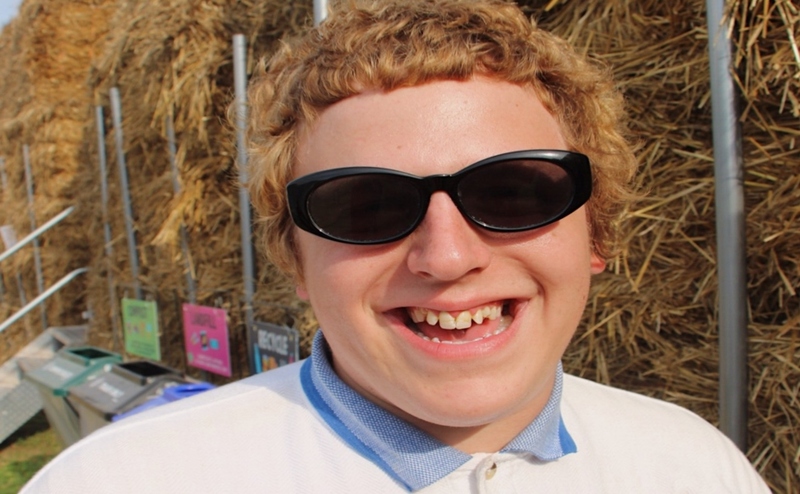 He has played BBC’s Radio 1 Live Lounge, Glastonbury Festival and toured with The Head and the Heart. It’s safe to say that this is not the last time we’ll see McKenna making intrepid statements on a U.S. stage, nor should he slow down anytime soon. Is that a tornado ripping through a flaming metalworking factory or the sound of a thousand mosh pits flailing in tune to the sound of $uicideboy$ at the Grant Park stage? Who knows. Arceneaux’s abrasive vocals combined with the duo’s ability to rap in sync to just about any of their numerous songs ($uicideboy$ boasts 61 tracks alone in their 2016 compilation album “Songsthatwewontgetsuedforbutattheendofthedayweallgonnadieanyway”) resulted in a high energy display of emotional release. The band’s performances of “South Side Suicide (ft. Pouya),” “Paris” and “Memoirs of a Gorilla” were highlights of the set, as well as Arceneaux’s growling screams in the midst of thumping bass lines. Attendees trying to get a good spot for Migos may have been pleasantly surprised at the band’s ability to keep a crowd bouncing for a full hour without the need to sing over pre-recorded vocals, as some hip-hop artists do. 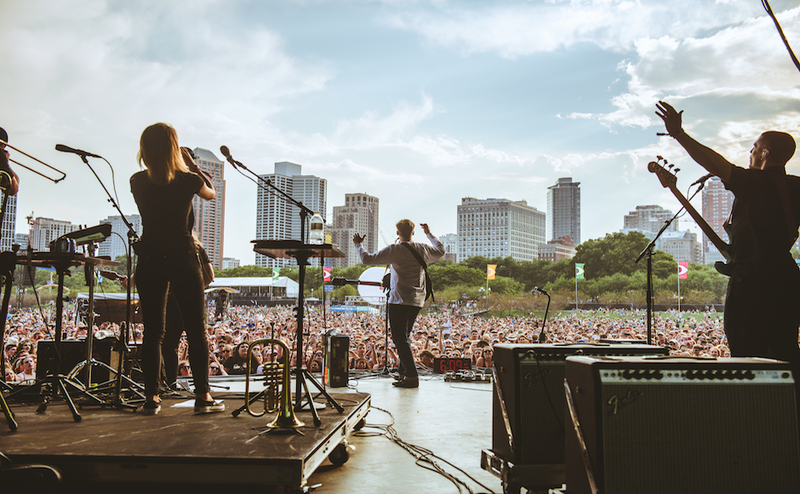 Wearing a white long-sleeved t-shirt, Rayban shades and classic blue jeans, 24-year-old George Ezra Barnett walked onto the Lake Shore stage on Thursday accompanied by a full band complete with a trumpet and trombone duo. The English singer-songwriter accrued popularity in the U.K. in 2014 following the release of his hit-single “Budapest,” and the song rose to number 32 on Billboard Hot 100 in the U.S. during 2015. 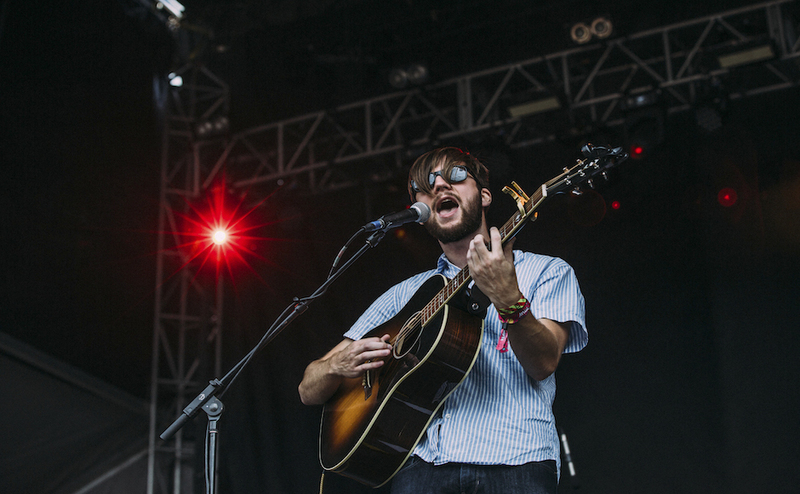 Ezra played a host of old songs from his 2014 album “Wanted on Voyage“ as well as an unreleased track titled “Hold My Girl” and his 2017 single “Don’t Matter Now.” He hit the vocals square on and frequently provided short commentaries before playing his songs. “I’m sure you’ll know what I mean when I say 2016 was quite a strange year,” Ezra said to a mild crowd of young and old faces. Ezra said he started “feeling anxious,” so “naturally (he) ran away” to the city of Barcelona, where he wrote the aptly named track “Barcelona.” He later performed the song “Pretty Shiny People,” another song which he said he wrote after walking around Barcelona. “One of the things I noticed was that none of us have a clue what we’re doing, and that’s a beautiful thing,” Ezra said. Despite the smooth instrumental and vocal performance, Ezra did little besides that. Festivals are an opportunity to open up and surprise the crowd, and Ezra had an unfilled gap where something else should have been. Aside from the brass duo building up to swelling crescendos during certain songs, it was as if Ezra sought to give fans a rote performance of his recorded tracks. Ultimately, it comes down to preference. Fans received a well-rounded performance covering his career, and he played all his hits. But those seeking a unique festival experience may have been slightly disappointed that he did that and nothing more. 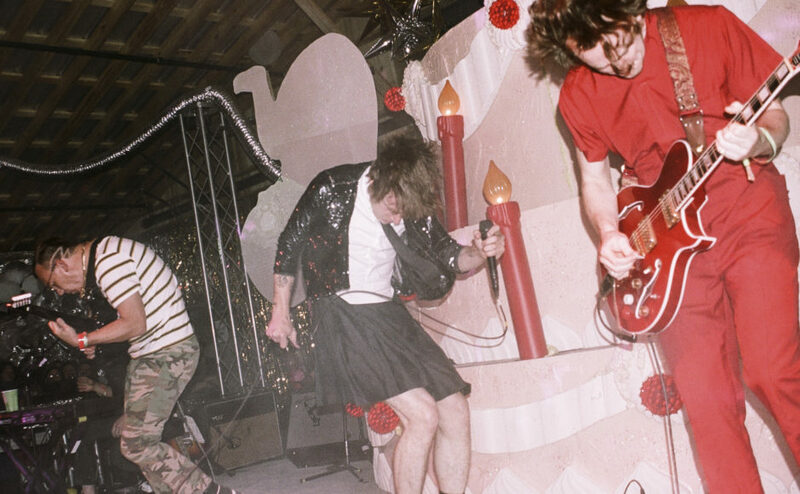 One sentence tells it all: Cage the Elephant frontman Matt Schultz wore a purple sequined dress and fishnet stockings while covering “Whole Wide World” by Wreckless Eric. “I like to look pretty,” Schultz said. Bringing a writhing energy to the massive crowd at the Grant Park stage on Thursday, the six-man band opened without wasting any time to get into the swing of things, performing the song “In One Ear” from the band’s 2009 self-titled debut album. It’s no overstatement to say Cage helps carry the classic rock star archetype into the modern day. Their on-stage persona reeks of rebellion, moral turpitude and youthful brashness. Yet Cage manages to go heavy on the fuzz while retaining distinct instrumentals. Schultz’s voice rang out even when he got lost in the sea of fans, some of whom visibly cried during the set. About halfway through the set, Shultz ditched the dress and performed hit songs, such as “Ain’t No Rest for the Wicked,” “Come a Little Closer” and “Cigarette Daydreams.” It would be hard to top the Nashville, Tenn. band’s legendary Lollapalooza 2011 performance of “Shake Me Down”- Schultz led an “even on a cloudy day” chant just as the steady downpour of rain turned into a torrential downpour- but Cage came close this time around. Anyone who has been to Lollapalooza knows that a trip to Perry’s is like entering a universe where it’s “the Purge” 24/7, or perhaps the closest real-life descriptor of Dante’s “Inferno.” But despite what they say about Perry’s, it’s the go-to place for EDM, electronic and dance music, even more so since this year’s “improved visual experience” and roller-skating rink available at the back of the stage. Robinson opened up the set with an ethereal build leading to his most popular song, “Sad Machine” off of “Worlds,” which immediately attracted excited cheers from fans. Standing in the middle of the massive stage, Robinson appeared tiny, but his songs achieved a colossal sense of awe representative of the strides he’s taken in the EDM world. Robinson likes to play around with old-school 8-bit sounds and the like, achieving a sense of nostalgia. That, combined with atmospheric soundscapes and the occasional line from the “robot girl” from “Worlds,” is chilling. Robinson managed to play some of his biggest hits, all of which were adapted for the live performance, and he even sang part of “Divinity.” As the rain fell harder, the crowd only danced more. But right in the middle of the set, Robinson’s set was cut short due to lightning, and the park was evacuated. For what Robinson did manage to perform during the short set, he did well, and the rain only added to the trance he managed to envelop his fans in.